KSBA members have two new benefits to enjoy. The KSBA webmaster, Shannon Trimboli, is adding a new page to the website. 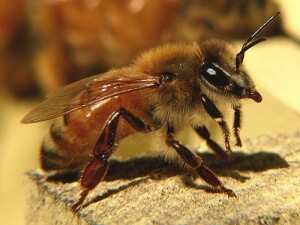 The new page will list KSBA members who have honey bee related products for sale. The goal is to help the public and other beekeepers find local sources of honey, pollen, queens, nucs, and other honey bee related products or services. Members will sign up for this benefit and identify their products or services when they complete the 2017 membership form. Shannon anticipates having the new page up around the first of the year. Also, in an attempt to increase communication with our members, Shannon is posting news and announcements to our website on a regular basis. The posts are typically short, informative pieces designed to help our members and others learn more about beekeeping in Kentucky and the Kentucky State Beekeepers Association. Examples of past posts include announcements about upcoming local beekeeping schools and field days, information about the new antibiotics feed directive and how it effects beekeepers, announcements about awards or competitions, and reminders that the latest BeeLines newsletter is online. You can sign up to receive these posts in your email by going to the sign up page or by submitting your email at the top of the right-hand sidebar located on most pages of the website. If you change your mind, you can unsubscribe at anytime by following the link at the bottom of all the emails. Past posts can be viewed on the KSBA news page.